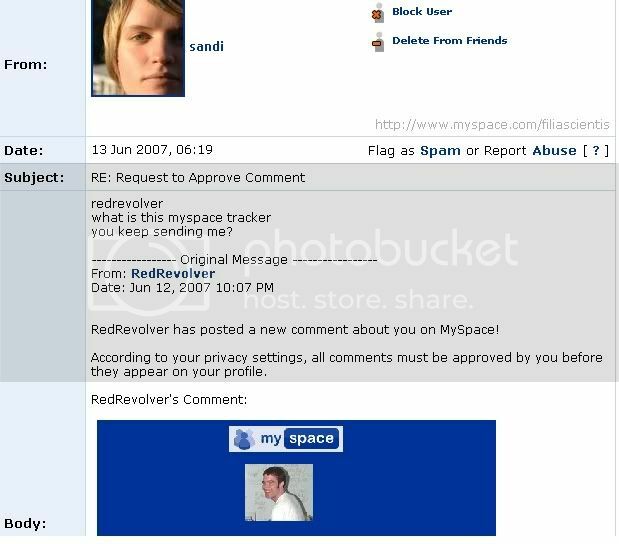 I have, on my myspace, this thing that tracks who look at your myspace. In conjunction with that, you have automatic comments sent from your profile to your friends list advertising your comments. Just thought I'd share... .
Haha, that's almost a haiku. Haha a pm that wasnt aware or prepared for possible myspace trackers. Not smart especialy when you rely on myspace for some of your clues.